Eternal Orthodox Church calendar for the 15.10 year 2017. By birth a Slav, he was bought as a slave by Theognostus, a rich man in Constantinople, in the time of the Emperor Leo the Wise, son of the Emperor Basil the Macedonian. Andrew was a handsome young man, both in body and soul. Theognostus took a fancy to him and allowed him to learn to read and write. 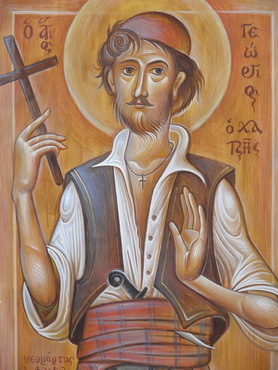 Andrew prayed fervently to God and attended church services with great devotion, and, in obedience to a heavenly revelation, resolved on the ascesis of folly for Christ"s sake. Once, when he went to the well for water, he cast off his clothes and cut them to pieces, feigning madness. Saddened by this, his owner Theognostus put him in chains and took him to the church of St Anastasia the Deliverer from Bonds, that prayers be read for him. But, as Andrew did not recover as far as his owner could see, he was freed as being sick in mind. Holy Andrew feigned madness all day and spent the nights in prayer. He lived without a roof over his head, spending the nights in the open and going about half-naked in a single, tattered garment and eating a little bread when kindly people shared theirs with him. Whatever he received, he gave away to beggars, and when he gave it to them he would mock them to avoid their thanks, for holy Andrew looked only for the reward from God. Therefore great grace from God abode in him, and he was able to discern men"s secrets, see angels and demons, drive demons from men and turn men from sin. He had a most wonderful vision of Paradise and the exalted powers of heaven; he saw the Lord Christ on His throne of glory; he, with his disciple Epiphanius, saw the most holy Mother of God in the Blachemae church, sheltering the Christian people with her veil (see Oct. 1st); he heard in heaven unspeakable words, which he dared not recount to men. After unprecedentedly harsh asceticism, he entered into rest and the eternal glory of his Lord in 911. Cyprian moved from Carthage to Antioch, where Justina lived with her parents, Edesius and Cleodonia. 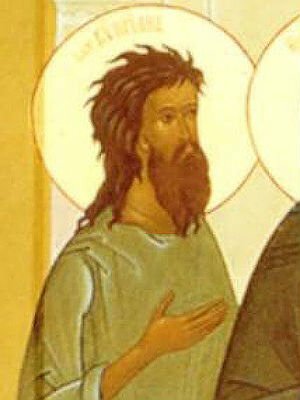 Edesius was an idolatrous priest and his whole household was pagan, but when Justina, going round the Christian churches, came to know the true Faith, she brought both her father and mother to Christ the Lord and all three were baptised by the bishop, Optatus. Cyprian was a magician, and had links with unclean spirits and powers of divination. A dissolute youth Aglaidas, a pagan, tried to lead Justina astray, being enraptured by her beauty, and, when the holy maiden firmly rejected him, sought Cyprian"s help. 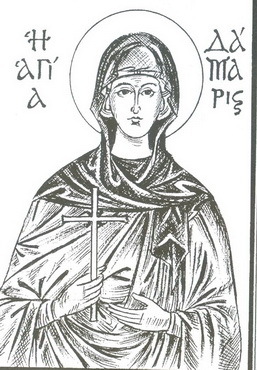 Cyprian invoked evil spirits, one after the other, on Justina, to set alight in her the passion of impurity towards Aglaidas, but they were totally unsuccessful in this, for St Justina, with the sign of the Cross and prayer to God, drove out the evil spirits. 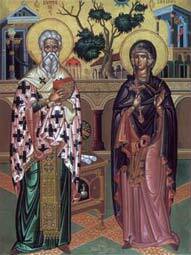 Then Cyprian came to know the power of the Cross, and was himself baptised, in time becoming priest and bishop. The wicked pagans seized both him and Justina, and they were sent for trial to Damascus, and then tortured and beheaded in Nicomedia at the end of the third century. 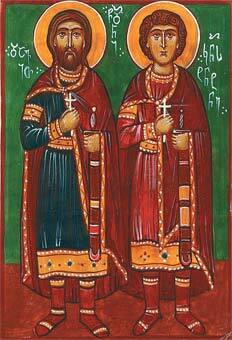 Christian princes of Argueti, they were condemned to death for Christ in Imereti by Caliph Emil-el-Mumenim and drowned in a river in 730. At the time of their death, they prayed to God that He would forgive the sins of all who invoked them in prayer for help. After their prayer was finished, a thunderbolt fell and a voice came from heaven, saying that their prayer was heard. 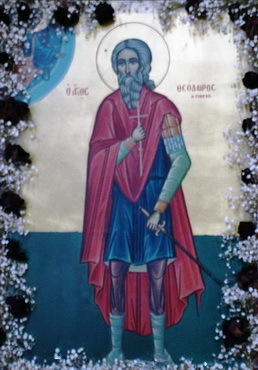 Their relics are preserved in Georgia, in the monastery of Modzameta. Saint Theoctistus was a soldier who witnessed the guiltless sufferings of St Justina, then fell at St Cyprian’s feet and declared himself a Christian, and was beheaded with them. He was born in Philadelphia, Asia Minor, and enticed by the Turks into Islam. He deeply repented for his apostasy and again accepted the faith in Christ. The Turks beheaded him after torturing him for this in the year 1749 in the city of Karatas. 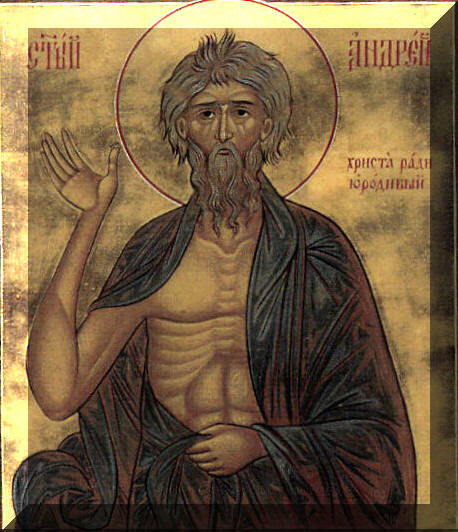 He practiced asceticism on a small island at the mouth of the Uvod River (Kovrov District, Vladimir Province) and died in 1622. His grave is under the floor of the temple in the village of Voskresensky (Resurrection), Kovrov District. The place of his asceticism even today is known as the St. Cyprian Hermitage, and a hole dug out in this place is called the St. Cyprian Cave. Pajsije of Janjevo was the Archbishop of Peć and Serbian Patriarch from 1614 to 1647, seated at the Patriarchal Monastery of Peć. He was also a writer, poet, composer, educator, and diplomat. The greatest accomplishment of Serbian literature and theology happened under Patriarch Pajsije who inspired the revival of hagiographical literature and entered into theological debates with Pope Gregory XV and particularly with Pope Urban VIII concerning the question of the procession of the Holy Spirit. He patronized art on a grand scale. He funded works by woodcarvers of iconostasis and icon painters during his entire reign as patriarch from 1614 to 1648. His travels took him to Moscow in 1622, Constantinople in 1641, and Jerusalem in 1646.